Genomics, Medicine, and Pseudoscience: Football is still corrupting our universities. It needs to go. Football is still corrupting our universities. It needs to go. It's happening again. The University of Maryland is about to pay millions of dollars to its football coach so they can fire him a year early, and proceed to hire a new football coach and pay him millions of dollars. All this at a time when the university is desperately strapped for cash, after years of hiring freezes, salary freezes, and unpaid furloughs for its employees. Pay $2 million to buy out the old coach, Ralph Friedgen, and hire a new one, Randy Edsall who will presumably boost attendance and revenue. Hire Edsall for $2 million per year, who then produced a losing season (2 wins, 10 losses), leaving games with even lower attendance than before. Yes, they really did eliminate 8 other sports in order to invest more in football. Here's what they cut: men’s cross-country, indoor track, outdoor track, men’s swimming and diving, men’s tennis, women’s acrobatics and tumbling, women’s swimming and diving, and women’s water polo. None of this produced any tangible benefits, either financial or academic. Pay $4.7 million to buy out the current coach, Randy Edsall. That's $2.1 million for the rest of this season and $2.6 million for next year. Hire a new football coach and pay him at least as much as the old coach. Continue to impose unpaid furloughs and pay freezes on academic staff across the board. Wow, this investment in football really seems to be working for U. Maryland. What the heck is the U. Maryland president, Wallace Loh, thinking? Loh originally hired Edsall just a month after he (Loh) joined the university. One might attempt to explain this as a rookie error made by a new president. But this time he has no such excuse. 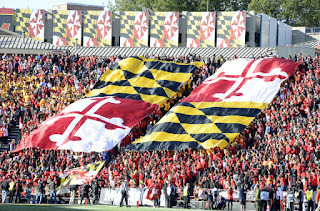 U. Maryland is by no means alone in its misguided emphasis on football. In 2012, the University of Florida announced it was eliminating its Computer Science program while simultaneously increasing the football budget. The ensuing outcry (spurred in part by my Forbes blog) convinced the administration to back down, but at the time they saw no irony in their plan to cut science education and spend more on football. Listen, sports fans: football is not the reason we have universities. Universities exist to provide education, no matter what the (sometimes rabid) football boosters may say. Some American universities (hello U. Chicago!) do extremely well without having a team at all. Outside the U.S., universities have no major sports programs at all–the students enjoy sports, as all young people do, but the universities focus on what they do best. Yes, I know the arguments on the other side. “Football makes a profit,” some claim. To that I would say, so what? Universities could make a profit running a casino too – should they do that? But just for the sake of argument, let's accept the premise that football is profitable. Great! In that case, we can spin off the teams as private corporations, and let them pay to use the university logos, stadiums, etc. The teams can pay the players, as any professional team must, and the students and alumni can continue to cheer on "their" teams, just as residents of Baltimore cheer for "their" professional, privately owned Ravens team. Let's face it: university administrations are simply not equipped to run a major sports and entertainment business, which is what college football has become. 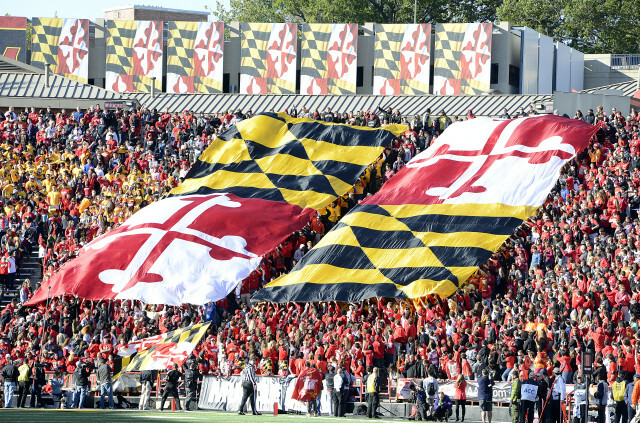 The spectable of U. Maryland spending $4.7 million simply to buy out its current football coach, when the university is desperately trying to save money for its core mission, demonstrates how corrupting the influence of football has become. Even worse is the shameful abuse of the players, who serve as unpaid laborers while their coaches make millions. "We give them a free education," administrators and coaches respond. Yeah, right. College football is a multi-billion dollar industry, in which the athletes at the center of the game are prohibited from taking any money. Just pay them, and they can decide if they want to pay tuition with their own money. If we make college football private, everyone wins. Universities keep their football revenue, the fans get their team, and the university no longer has to pretend that it's educating its unpaid football players. We could even set up the system so that players were given a proper academic scholarship after their playing days were over, which for most of them is just a few years. And perhaps best of all, the players would earn the paychecks they deserve. Otherwise, expect me to write another article in about five years, in which I will describe yet again how the University of Maryland (or some other school) is paying millions of dollars to buy out the contract of their football coach, while the school's academic mission is ignored. "Universities could make a profit running a casino too – should they do that?" That would actually be a more reliable way of making a profit than football, at least. The house always wins in the end, unlike football teams. And field trips from statistics courses could use the university casino to provide hands on study of the idea of expected value. Why scheme to take advantage of college kids, at all, whether from football, or alcohol sales, just let our youth get educations and good jobs. We are paying a lot for our universities and they are being ruined. Brilliant. Rutgers - another new Big Ten school - is having similar problems. There are so many lies and half truths about the need for big athletics at universities. Thanks for helping to highlight this one.